Photograph provided by Skip Carter. 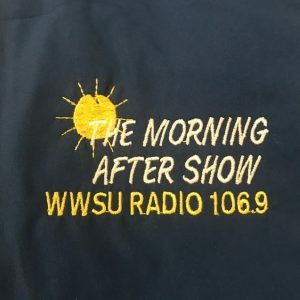 WWSU Radio has a variety of radio shows throughout the week; one that should be getting students’ attention is The Morning After with Skip Carter. The Morning After is your one-stop shop for sexual health, mental health, relationship issues and advice and it is on the air every Thursday night from 7 to 8 p.m. The host, Skip Carter, is a licensed clinical health counselor and sexual health expert and deals in relationships. Carter’s show is geared towards the students of Wright State, offering his services to those who call in or email questions. The goal of the show is to benefit students and to be a great resource for those who need it. “Someone on campus that this show could benefit would be those who are transgender, questioning their sexuality, participate in alternative relationships, those who have experienced sexual trauma, jealousy and much more,” said Carter. The Morning After show comes at a time when the STI rate is of epidemic proportions and society is faced with a generation that is low in sexual literacy. “There are people on campus that need this information and don’t know how to get it and I want the radio show to be a great resource for those people. I want the show to be fun loving, educational and interactive. I want people to call and be reassured you are normal,” added Carter. The Morning After is back on the air Nov 8 at 7 p.m.
“You’ll want to tune in because it’s everything you want to know about monogamy and nonmonogamy,” explained Carter.